Wendel Adams, my good friend who passed away several years ago was a fellow atlatlist who helped in the Great Atlatl Hunting Experiment where we relearned how to use atlatls for hunting big game. Wendel was from Kentucky. He was an amazing machinist and an avid outdoorsman. The art of atlatl hunting had been lost and after about a decade of experimentation we figured out how to do it again. We also shared atlatl fishing trips in Florida and Kentucky. Wendel helped me build my first dart tapering machine when he and his wife Bobbi came to visit us in New York. I think it was 2001 or 2002. Not to forget, the many times Bobbi and Wendel helped make my life and my family’s life much more comfortable on the road through their gracious hospitality. Our dear friend and fellow atlatlist the late Wendel Adams. I also remember the late Lou Becker, an atlatlist and boyer from Michigan who was an inspiration for me also in the effort to discover how the atlatl may have been used for hunting. 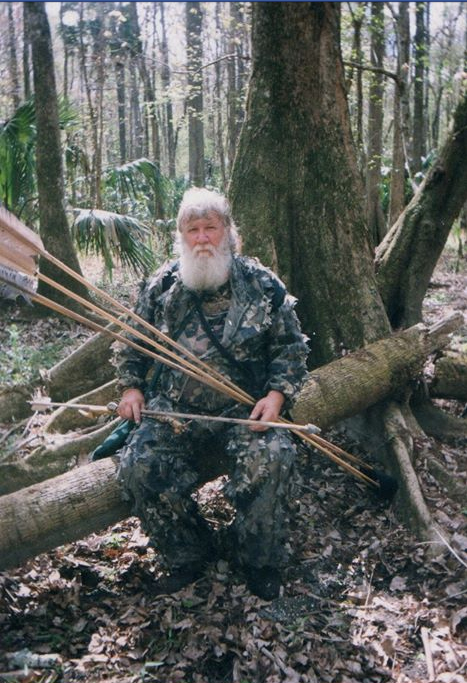 I met Lou in the early 1990s when he was experimenting and making atlatls. 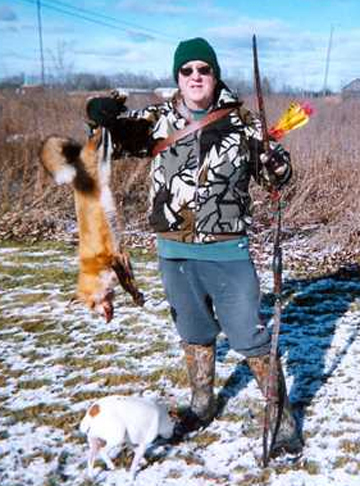 Lou was a kind and gentle friend who shared his enthusiasm for hunting and learning with me. Along with his many other responsibilities, Lou served as President of the Michigan Atlatl Association. Good friend and fellow atlatlist and boyer the late Lou Becker.